PLEASE READ THE FOLLOWING ARTICLE CAREFULLY AS THE CONSEQUENCES OF GDPR NON COMPLIANCE ARE QUITE SERIOUS. By now you are probably aware that European Union is rolling out the GDPR (General Data Protection Regulation) on 25th May 2018. Tell the user: who you are, why you are collecting the data (for what purpose), how long you are going to store it and who receives it. You, as a Data Controller, also have an obligation to keep the data safe. This means you need to ensure that any communication between the web server and a browser is via a Secure Socket Layer (in layman terms you need to have an SSL certificate installed on your site). If people from European union can visit and interact with your site (e.g. post comments on your blog, subscribe to a newsletter, share your content to social media, place orders, send enquiries or contact you via an online form, you need to be compliant. GDPR does not require you to be a European citizen, or for you to be a European based business to find you guilty and impose a violation.They can do it even if you’re located across the Pacific ocean and have absolutely no care what’s happening in France. If people from the EU can surf your site, you are liable to adhere to GDPR rules. A fine of up to €20 Million or 4% of your global revenue. Whichever is the GREATER! Not being able to sell to customers from EU or serve them in any other way. Not being able to monetize EU based customers through ads or other means. Severe legal costs and hassles that will stop you from focusing on your business. SSL Certificates are not an optional extra. If you have a contact form on your site, or a clickable email address, or someone can leave a comment, download content or place an order, you absolutely have to have an SSL certificate. If your website does not have a // in the URL or there is no green padlock, then the connection to your website is not secure. All forms that invite users to subscribe to newsletters or indicate contact preferences must default to “no” or be blank. You will need to check your forms to ensure this is the case. When sending out email (as a newsletter, or as a purchase confirmation etc), you need to include information on why you are emailing them, how you got their data and provide them with an unsubscribe option and “forget me ” option. Email-optout is not enough in GDPR you also need to give people a way on your website to opt-out of future emails. If you share data with anyone you need to tell the owners of the data and ask for their consent. If you are an e-commerce business, then you are likely to be using a payment gateway for financial transactions. Your own website may be collecting personal data before passing the details onto the payment gateway e.g. to send emails with additional offers. If you use other third-party marketing automation software solutions e.g. 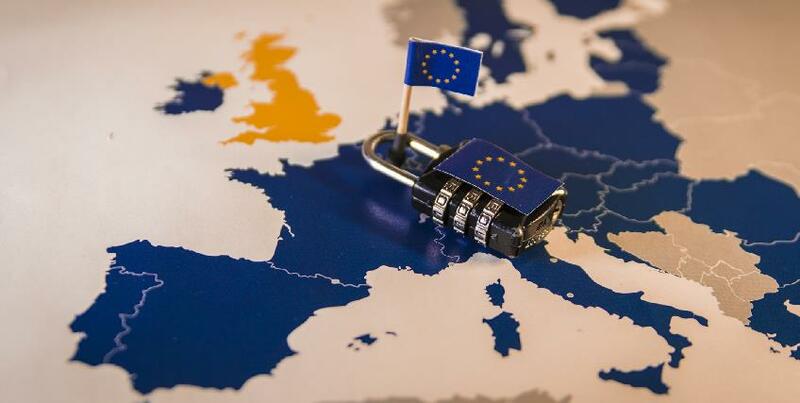 lead tracking applications like Lead Forensics, Leadfeeder or CANDDI, you need to ensure that their software is GDPR compliant. It Isn’t Only Your Website That Needs to Be GDPR Compliant. The changes being introduced with GDPR will permeate your entire business, but in this series of articles, we are focusing purely on your digital marketing. Even if you do not collect and store personal data yourself the onus is on you to ensure that any data that is passed to you some from a compliant source and if you pass data on that the receiver is also compliant. As all businesses are different the previous point should be regarded as guidelines on the things you need to be aware of and not as instructions. Not sure what to do next? Then give us a call and we can help you make your website GDPR-compliant? We then implement the changes identified by the audit and let you know what kind of personal data is being collected through the website, how it is being used and how long it can be kept for. If you don’t have an SSL certificate as yet on your website, we install it for you to ensure your website, customer data and emails are protected and secure at all times (optional service priced separately – from €50 depending on the complexity of your site. We provide you with a mechanism to keep track of, correct or delete any type of personal data you may have stored on your website. This includes client subscriptions, past orders, blog comments or testimonials which include personal details. Provide you with a mechanism to notify your users if a data breach occurrs.